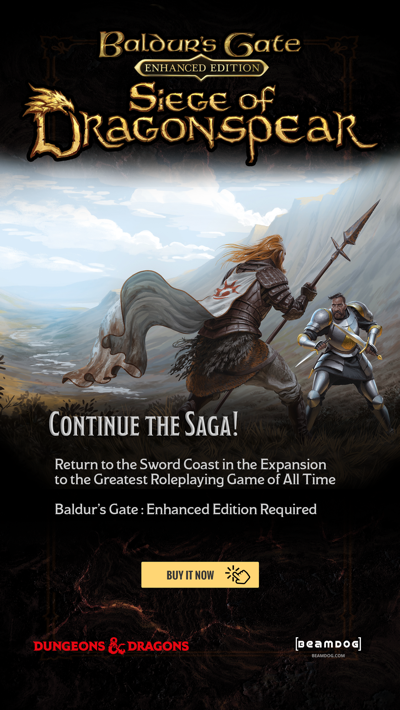 Neverwinter Nights: Enhanced Edition is nearly here! NWN:EE will be available to purchase on Steam March 27, 2018. 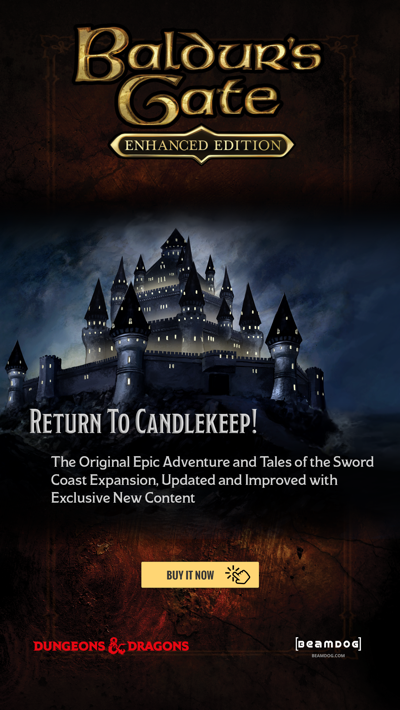 This is your invitation to come celebrate the launch of Neverwinter Nights: Enhanced Edition during a special two-hour Twitch livestream! We’ll be live Tuesday March 27 at 10am PT playing with the community on a newly Enhanced Arelith server. Tune in on Twitch for interviews with special guests, developer stories, and news about what’s next for Neverwinter Nights! But that’s not all! Trent, Phil, and Jonathan will be giving away Steam keys and limited edition Neverwinter Nights: Enhanced Edition t-shirts. As a special treat, one lucky live viewer will be chosen to have their portrait Neverwintererized by a Beamdog artist. All you have to do is show up for a chance to win! Guaranteed +5 against cold! Win yours! We’re excited to finally see Neverwinter Nights: Enhanced Edition available to fans on Steam. The best part? This is just the beginning! There’s bright future ahead for NWN:EE fans! Join us live and be a part of Neverwinter Nights history! Want to get a head start? Pre-order Neverwinter Nights: Enhanced Edition on Beamdog or wishlist NWN:EE on Steam today! Lots of luck to the all the viewers who want to be forever immortalised in NWNEE! May the most handsome man or most beautiful woman win!